Where You're A Neighbor, Not A Number. What do Julius Caesar, Joan of Arc, Agatha Christie, and Adam Horovitz from the Beastie Boys have in common? They have all been diagnosed with epilepsy. That’s just one of the goals of Purple Day: to raise awareness of epilepsy and dispel common myths. After all, it is estimated that 50 million people around the globe suffer from epilepsy, with nearly 3.5 million of them living in the United States, so it’s surprising that many people remain in the dark regarding this neurological condition. Today, epilepsy is the fourth most common neurological condition, behind migraine, stroke, and Alzheimer’s. A neurological condition caused by unusual nerve cell activity in the brain, epilepsy has a wide range of symptoms, from momentary loss of awareness and uncontrollable twitching to minor and major seizures. The International League Against Epilepsy (ILAE) classifies epilepsy into three groups based upon the features of the seizures, including where they begin in the brain, a person’s level of awareness during the seizure, and sensations they may experience, known as auras, such as seeing flashing lights or zigzag lines. Nonepileptic seizures or NES (20%). The origin of these seizures is unknown but they are not due to epilepsy (therefore, some people prefer to call them “events”). While they look like seizures, with the person stiffening and jerking, neurologists believe these events stem from other psychological conditions or physical problems. What is Purple Day for Epilepsy? Purple Day is an international grassroots effort that invites people around the world to wear purple on March 26th every year to raise awareness of epilepsy and to let those struggling with the condition know that they are not alone. Cassidy Megan started the campaign in 2008, motivated by her own struggles with the condition. The Epilepsy Association of Nova Scotia helped launch the idea, and the following year the New York-based Anita Kaufmann Foundation and Epilepsy Association of Nova Scotia joined forces to launch Purple Day internationally. 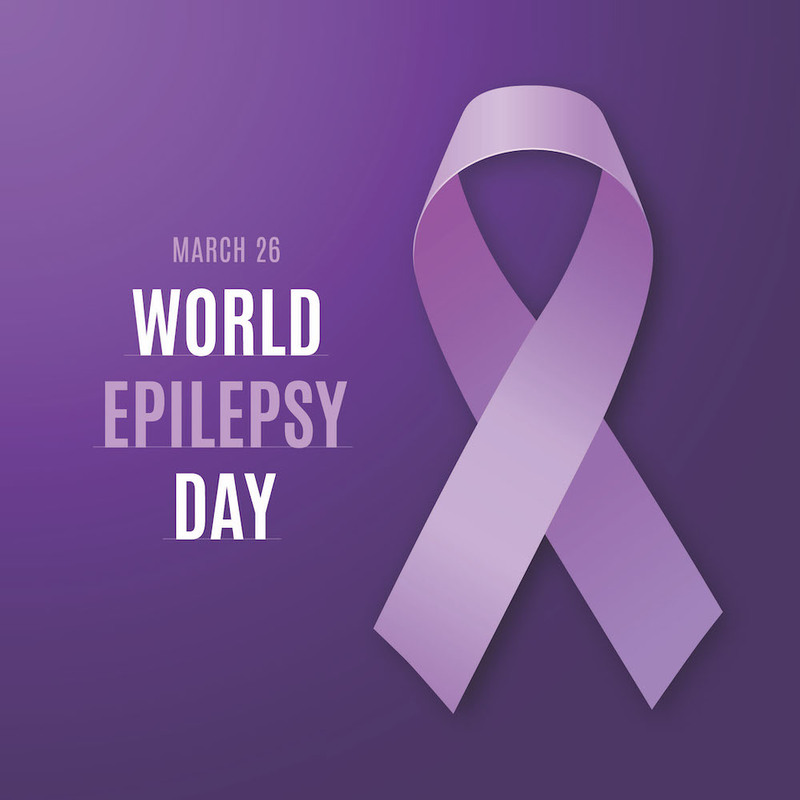 As the global sponsors of Purple Day, both organizations are committed to partnering with individuals and organizations around the world to promote epilepsy awareness. There are a number of events happening around the world that you can participate in, and you may want to consider hosting your own event next year. In the meantime, we encourage you to wear purple today and check out the official Purple Day website for more information. If you or a loved one suffer from epilepsy and it is debilitating enough to keep you from working regularly, you may be entitled to SSI or SSDI. You can read our story How to File for Disability for Epilepsy, or one of our caring disability advocates is always available to speak with you. Contact us today to learn more about filing for disability with epilepsy, and you can be sure that we’re wearing every shade of purple today here at Disability Experts of Florida! Stay informed of changes and new policies that can affect your disability benefits! Epilepsy: Can it Qualify You for Disability?